Himalayan Honeysuckle. 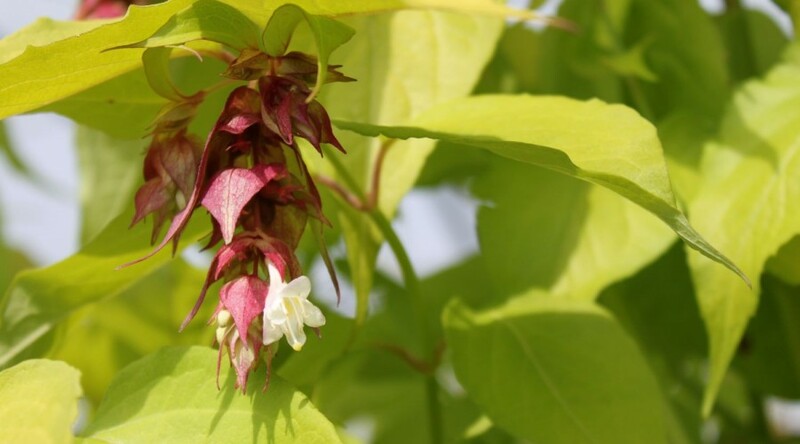 An upright shrub with Gold-green young stems and pendent white flowers surrounded by purple-red bracts, followed by purple-red berries. Height 2m. Spread 2m. Flower colour White. Flowers from July to September. Fruit colour Purple, Red. Fruits from August Deciduous.